Paulo GAZZANIGA and Gaston GIMENEZ have been called up to the Argentina national team. The Tottenham goalkeeper receives his first call-up to his country at 26 years of age. This means that all three Argentine players at Tottenham have been made the Argentina team. That is to say Erik LAMELA, Juan FOYTH and now Paulo GAZZANIGA. Velez midfield Gaston GIMENEZ has also been called by Argentina coach Lionel SCALONI to the team. Gaston Gimenez plays in double pivot in Velez now. But in Godoy Cruz he was atacking midfielder, enganche, playmaker with No.10 on his T-shirt. Today he plays more like DM but still I can hardly name his role just like defensive midfielder. Some really impressive attacking moments. La Bombonera will be absolutely special tonight , no doubt in that, hope the football will be too. The pitch is a swimming pool. The weather in BA is very bad. 26 to 27 is a Good Age for a Goal keeper, Gazzaniga, Andrada, Rulli, Guido Herrera all comes under this age group bracket. I would like to see Andrada more. He looks like the best among the 26-27. Armani and Romero are 31 which is not a bad age group for a Goal Keeper. But I think they should be maximum considered till the Copa. After that we should choose someone of the 26-27 Age group who can carry on for us for long period may be beyond the 2022 WC. Messi, Aguero, Paredes, Palacios, Pity, Dybala, Icardi, Otamendi, Pezzella, Tagliafico, Lo Celso etc etc. Everyone has this short hair style.. Where is the Long hair legendary look in general (I don’t see any of our players having long hair nowadays, Something like Cavani) Bati, Ortega, Canniggia, Crespo, Sorin, Burghos, Ayala, Pochettino etc etc. Sighs’ It used to define the Argentine footballers. Not few. There was a time that 90 percent of our players were long hair apart from Veron.. Lol.. I liked Batigoals 1998 WC look a lot. And if there is a Goal Keeper with long hair. Wowww. Burghos was a monster guy. Saying that Romero had some cool hairstyles. Now he looks crap by the way. lol. funny topic to raise. its out of fashion. short hair is mainstream but is slowly coming back. miss long haired messi though. Romance , are you mad from where does mourinho comees here, he is out of the box , european coach is not going to coach argentina, no doubt mourinho is a world class manager, gallardo was the best option. 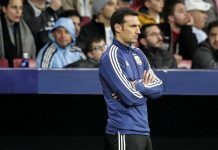 Lost hope from argentina , when heard about scaloni is going to continue, whatever i have seen from last friendlies zero tactics , just parked the bus against brazil, just selecting young and new players doesnt make him a good coach, anyone would have done the same thing in selection at this stage , even peru is playing better football than us besides having average players. AFA is the worst football association in the world and they blame players for the debacle even tapia is doing the same thing as segura. Anyway vamosss River Plate for but i am expecting a good game from cristian pavon. I’m not so fatalist as you to say “all hope is lost” but I agree that Scaloni hasn’t shown anything tactically. Calling new players isn’t my priority….tactics are and I haven’t seen anything to get excited over. goodness. You think Manu has not spent like city…thats ludicrous. so what if mourinho won with PTB, look at the bielsa style manager that won.. Someone here was laughing at me when I was talking (yet when he was in Godoy Cruz, playing in Copa Libertadores) Gaston Gimenez deserves call up. Scaloni was going for Defensa – Velez game to watch first of all Nicolas Dominguez. But Dominguez had worst game in this season while his teammate partner in double pivot was outstanding. Then that crossed my mind wheter Scaloni will not be impressed enough to call him up. And there he is. He is not old still. Pereyra, Pezzella age. He is great on technical skills. Absolutely great. His long passes are on Paredes level. I suppose it might be really good choice. The only thing Gimenez sometimes iritate me are his frivolous driblings and tricks on the ball instead quick pass. He really like to have the ball. 🔶 The 4 players that Barça are keeping an eye on are Exequiel Palacios, Gonzalo Montiel, Agustin Almendra and Leonardo Balerdi. Almendra and Balerdi will not start. Amazing player indeed. A good game with the NT may open the doors for him. His profile is very appreciable in Europe. Defensively he is not ideal but for sure not worse than Paredes. I would like to see GImenez starting one of the two games against Mexico. I always said about Gazzaniga before. Its a superb call up! He should be called up regularly in the nt & given playing time. Besides, Juan Musso of Udinese must be monitored. He is a fantastic GK too! Both of them can be our bright future! Overall we r on right track, just need time! Good days r coming in shaa Allah! I know everyone here is familiar with Rodrigo de paul but still just posting the player analysis link…..
That is only one game thought. Too big to play defensive footy. how good our offensive players re. Mourinho? If you call that tactician… He’s a club manager not a coach. His success was purely based on his old school management which is not working anymore. Simeone’s 4321 is a mix between Italian traditional Cantenaccio and Uruguayan football. It’s not fun to watch but easy to set up if the players are disciplined and quite efficient. France just copied paste this concept and we saw the results. It’s always easier to defend than to create. For Argentina I don’t know if it’s the right path. It may work better for a team with 2-3 super stars and the rest run for them. The NT got the best result with Sabella when they played defensive and counter attack. 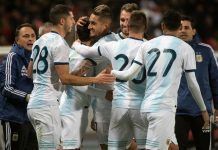 There is no shame to do so but as a football fan, I want to see something more elaborated, want to see Argentina play with a style. Our main strengths are not defenders and defensive midfielders. Defending deep will kill the team. Me I think Sevilla style is better for us. It needs a lot sacrifice..
Another example why Scaloni, Aimar and Samuel should stay. 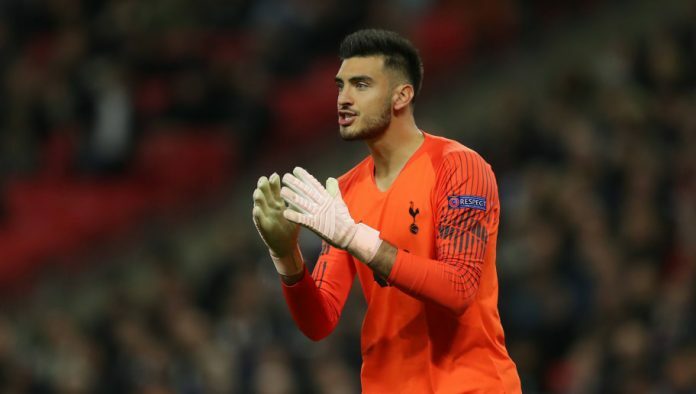 this is a very good decision, as a spurs supporter ive been watching his progress and he is now the number 2 their with him being viewed as lloris replacement, some spurs fans are asking for it sooner rather then later. hes still young at 26, is 6ft 5, commands his area and has no problem yelling at the defense but note he’s not the finished article yet but few keepers are at 26, usually its about 30 for a keeper to be in his prime. for me rulli has to drop out of the 3 as atm hes offering some thing lose to nothing and is not even getting playing time for his club, im a big rulli fan but hes just not good enough these days but I still have hopes he will rediscover his form as he does have potential. 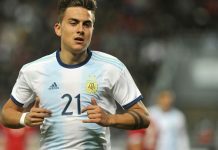 If Pochettino cannot be Argentina NT coach, all I wish is he continue to buy Argentinean players and give them playing time. Gazzaniga Musso are in good form …musso is a starting goalkeeper.. Sad for Rulli as he was not called at his prime time.. These callups will make sense if Ruilli & gazziniga play 1 match each against Mexico. Hope scaloni dosent end up playing romero again. Romero is a known commodity & above average. Worst case we can start copa with him or Armani. But giving proper time against quality opposition to youngsters like Ruilli & gazziniga will help know what they are actually worth & can we look at them as our starting goalie for wc2022. Good Call..who was the GK called for Brazil game along with Romero, Rulli?